When it comes to life insurance, it is difficult and unsettling to imagine a time when you might not be around. But, if you care about your family and loved ones, life insurance could be the single most important investment that you will ever make. With access to a variety of products and options, we make sure to find you the best policy within your budget. Our team will analyze your particular situation and advise you on the type of policy to obtain, how much coverage you need and the best provider to go with. As you reach the final days of employment, your greatest investment is in yourself and continuing your standard of living. But when is it right to start looking into annuities? 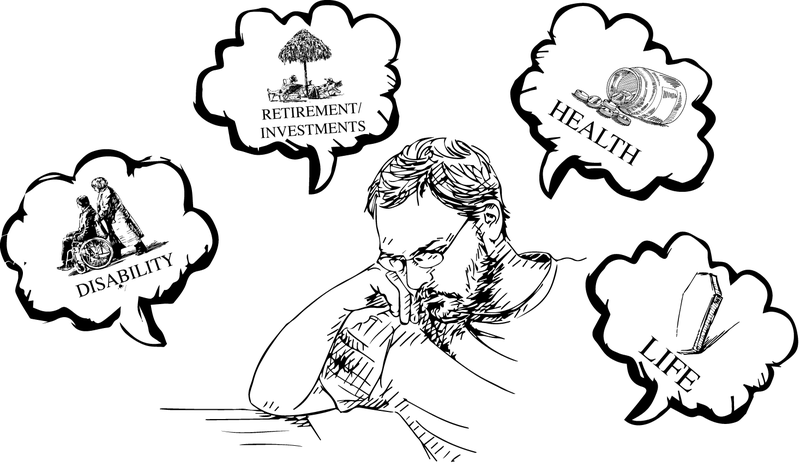 What type of annuity is right for you? Are annuities a better option than alternative retirement plans? These are all tough questions that require dedicated and detailed investigation. We can help you answer these questions, and are here to discuss your options and find a policy that best suits your needs. As the need for reliable dental and vision care become increasingly more important, finding a plan to help cover the cost of these necessities is more crucial than ever. If you are not covered by your employer or another group, we can make the tedious task of finding a policy easier for you by advising you on your options and preparing quotation comparisons. Meslee Insurance works with a number of insurance companies and healthcare providers to ensure that we are always securing our clients the best care at the most affordable prices. Ever considered what would happen if you lose the ability to work due to a disability caused by an injury? Long Term Disability Insurance (LTD) can protect you by providing coverage to replace a portion of your income should you become disabled and unable to physically work. Meslee Insurance works with an array of companies to provide Long Term Disability Coverage to individuals. Our connection to multiple carriers allows us to shop and find the best coverage at the most affordable price. Regardless of your circumstance, we are here to discuss your work history, earnings, possessions and more in order to find a policy that suits your particular situation. When it comes to choosing the right health insurance plan, the variety of options and plans available can be so confusing that it is nearly impossible to figure out what to do. We’ve been there first-hand and that’s why we know we can guarantee to find you a premium quality coverage plan. Whether you are a single adult, married couple or have kids, we provide you with the resources and knowledge needed to find a plan that meets your needs. Long Term Care insurance is a policy designed and developed specifically to cover the costs of future care services that traditional health care policies do not cover. At Meslee Insurance we advise our clients to put a plan in place for an extended health care event, and to consider Long Term Care Insurance early while still in good health and financial standing. We do this in order to better prepare our clients for the future and to prevent a situation where a change in health or financial standing occurs and there isn’t an applicable policy available. Meslee Insurance works with you to answer your questions on cost, timing, care needed and the benefits of Long Term Care. We consider your financials, age and health conditions, and work diligently to find the best strategy for your particular situation.